Carnell Estate - Hurlford, Scotland. 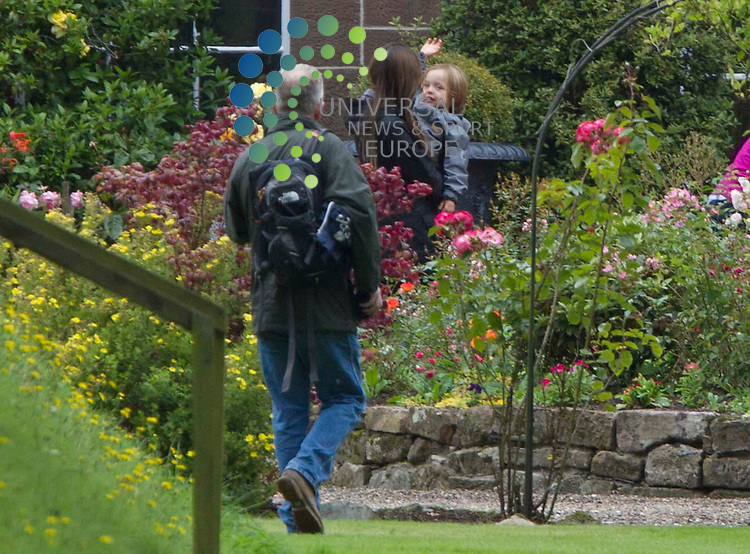 Angelina Jolie holds her young daughter as she waves to the press on the Carnell Estate as her partner Brad Pitt films World War Z in Glasgow..Picture: Universal News And Sport (Scotland). 18 August 2011. www.unpixs.com..